84 year old, Henry Morello, was found alive in an Arizona desert after five days of being stranded there. He took a wrong turn while driving home from the Phoenix suburb of Cave Creek on Feb. 7, and ended up in a ditch after making a U-turn. We thought his survival skills were especially good for a man his age, and worth noting. First he ripped a chrome piece off of his car and put it on the roof hoping someone would see the reflection and find him. His phone and car battery went dead, so he used car mats to stay warm and read a car manual from cover to cover to pass the time. But the most interesting part of it all is how he chose to stay hydrated. 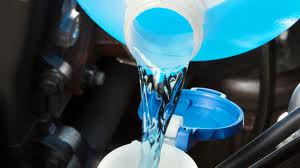 Since he didn’t have access to water, he filtered windshield wiper fluid through a napkin and drank it as a substitute. He was found alive by a group of hikers after five days. Though his kidneys are damaged, he arrived at the hospital in good condition, considering all that he had been through. He learned a few lessons from this adventure, the main one being to never drive without water. We’d like to reach out to Morello and let him know that his story is a lesson to all. Do not leave the house without your reusable stainless steel water bottle, and make sure it’s full of filtered water before taking a trip. And, in case of an emergency, make sure you have some napkins on hand, in case you do need to drink windshield wiper fluid. (We’ll soon be testing out the filtration skills of a napkin, so stay tuned for a video on that.) In the meantime, get prepared for any emergency that may strike, by stocking your survival kit with these items from Filters Fast. Clearly, Morello would have been much better off with a Katadyn Bottle Water Filter.